Can You Really Call That House a Home? Ready to buy a home? Selling your former home? Call Inspection Pros Inc. We conduct pre-listing and pre-purchase home inspections in the Cleveland, Strongsville, North Royalton, Parma, OH and surrounding areas. Curious to see what a final inspection report looks like? 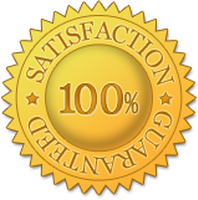 We have sample inspection reports ready for you to view on our website. You shouldn't trust a home inspector without the proper certifications. 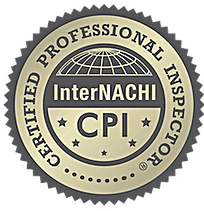 Inspection Pros Inc. is an InterNACHI-certified inspection company. Work with an inspector you can trust. Call Inspection Pros Inc. right now to arrange a time for your inspection. We offer free estimates. Buying or Selling a Home in the Cleveland, Strongsville, or Parma, OH Area? If you're worried about the condition of a home, call Inspection Pros Inc. We examine homes and take note of any current or potential problems. We are committed to putting our clients' minds at ease with valuable information about their home. 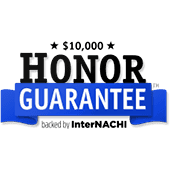 Whether you need a pre-listing inspection or a pre-purchase inspection in the Cleveland, Strongsville, North Royalton, and Parma area, call Inspection Pros Inc. Get a free quote for your home inspection service today. The list goes on. Every aspect of your building will get a thorough look-over by Inspection Pros. Don't sell or invest in a home riddled with issues. For home buyer and seller-certified home inspections in the Cleveland, Strongsville, North Royalton, Parma, OH and surrounding areas, call us today. We're here to serve you - no matter where you are in the surrounding area. Call Inspection Pros Inc. today to schedule your home inspection.